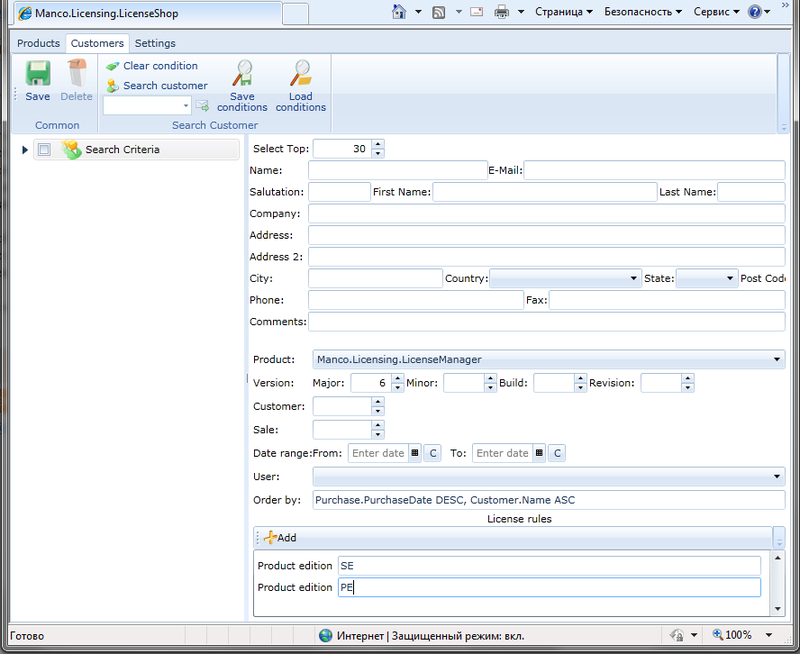 License Shop is the web-based (Silverlight) tools for complete customer and license management. Using it you can issue licenses and keys outside your office just using any Silverlight-ready PC. You even can setup a bunch of sale persons around the world who will do it for you 24x7 just using single “License Shop” license. Just manage your sale persons to use “License Shop” on 1 in a time basis. We don’t allow concurrent using of the single license. But “License Shop” is not bound to the particular PC (it is bound to the AWS installation), so you can use single license anytime anywhere on 1 license - 1 concurrent connection basis. 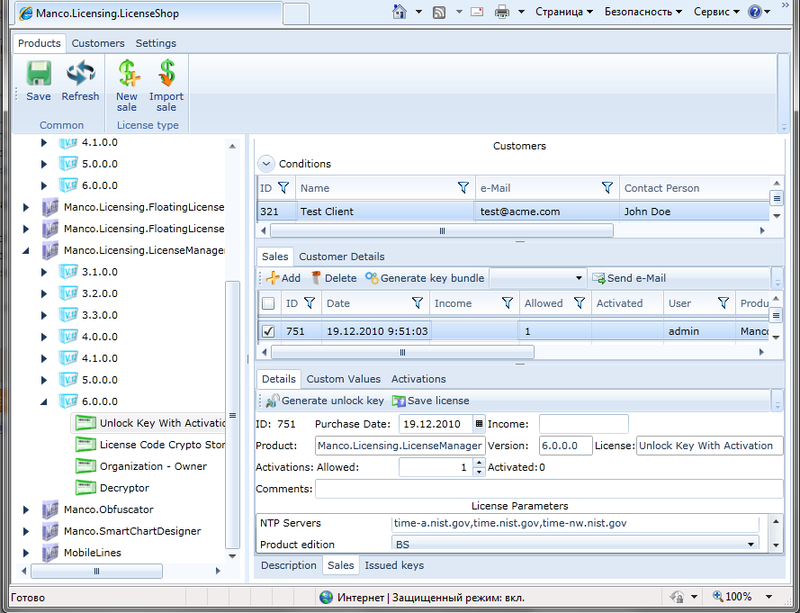 UI of the License Shop is similar to the UI of the current version of the License Manager. So it will be easy to you to switch between these 2 tools. Starting from version 6.0.1.0 of our licensing system Activation Web Service license will include 1 free license for “License Shop”. So you can start your web-based licensing experience without any extra charge.